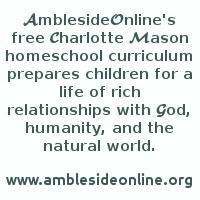 AmblesideOnline: Which version of the Oxford Book of English Verse? The one we recommend is the online e-text version edited by Sir Arthur Quiller-Couch. I believe there is a link to the etext on the website. This is the one Miss Mason used, but there are even better reasons why this one works as well as it does: It is arranged chronologically We will only be using the poems that fit chronologically with the corresponding HEO year. We don't even recommend every one of those poems, so you have the luxury of skimming through it yourself, picking out those poems within the timeframe you need that you consider suitable for your readers, and printing out a few pages to keep in a folder for that year's work. Since you won't be using the entire book, even if you decide you want it, you can print out a few pages at a time while you wait for one that meets your budget to come up.